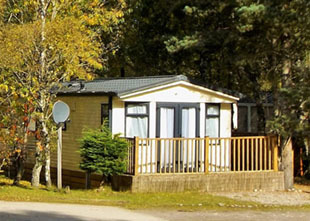 Our static caravans are set in 25 acres of natural birch wood. Our static caravans are set in 25 acres of natural birch wood. The caravans have been placed in keeping with our ethos of working with nature ensuring an organically evolving park. We have around 70 on the park, most of which are privately owned. We have three caravans to let out between April and September. Prices start from £225.00 for a three-night break and from £445.00 for seven nights. Book through Dalraddy Holiday Park who acts as a letting agent to our Rental Chalets and Static Caravan owners. From time to time we also have static caravan pitches available please get in touch If you’re interested in a pitch so we can add your name to our waiting list or if you would like information on static Caravans and chalets we have for sale at Dalraddy Holiday Park please click here. Check-in time is from 3pm and check out time is at 10am. Proved to be the perfect setting. Very quiet surrounded by beautiful scenery and wildlife. Superb walks running from the campsite to Aviemore or Kincraig. Central for all main sightseeing resorts and towns. Want to go on holiday whenever you feel like it? You can when you have your own static caravan. Dalraddy Holiday Park is part of Alvie Estate, a family run traditional Highland Estate in the Cairngorm National Park. An area of outstanding beauty, with lots of activities to enjoy, it’s the perfect setting for your holiday. © Copyright 2017 Alvie Estate. All rights reserved.